Grade one students Jonah J. and Kyle M. browse through some of the books at the Blackville School Annual Scholastic Book Fair. The fair is being held this week on Wednesday, Thursday and Friday. The Family Event is tonight, November 24, from 5 pm - 8 pm. 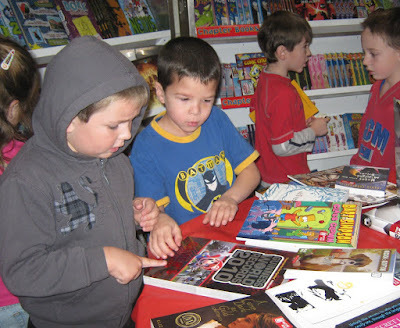 The money raised from the fair provides books and other resources for the school library.